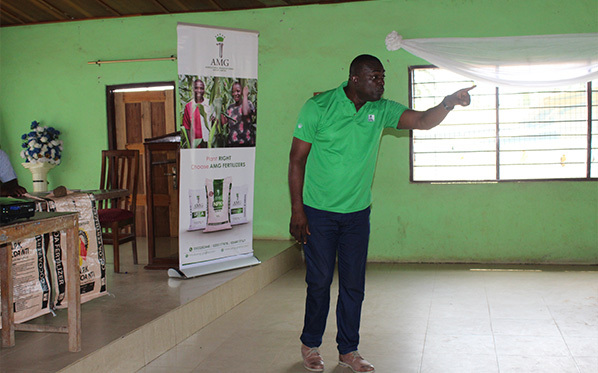 We organize training for the farmers about how our products are been used, or apply a particular product and if there is any update about it usage too we do organize training for them to be abreast with it. The changes could be in term with the composition of the product, for instance with regards to the quantity or the number of times the farmers are supposed to apply the product and this is done nationwide. We give credit facility to farmers who don’t have ready cash or cannot afford to pay at a go, so that they will pay back later. We offer extension services to our farmers or clients.